I have 3 girls, 3 girls that are very close in age. That means in the last four years I have spent A LOT on diapers. For a majority of that time I have had not one but at least two of my three in diapers (all three if you consider night time). I don’t know if this makes me an expert in the diaper department but I do know a thing or two about saving money on diapers and I can’t wait to share my insight with you. I don’t just want to share how I save money but how I save time and my sanity as well… because hey, that’s just as important. 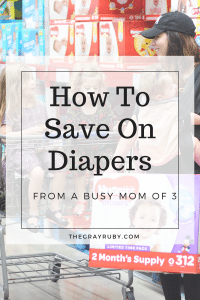 1.Buy in bulk – I go through a lot of diapers. I think that is pretty self explanatory. It’s not necessarily convenient for me to load all three of my kids up in the car to go and grab diapers. That is why I buy in bulk. I don’t have to head to the store every week and it actually saves me a lot of money. I have a Sam’s Club Membership and love the savings I get from buying in bulk, especially when it comes to diapers. Last time I was in I found the Huggies® Little Movers 2 Month Supply Pack and I knew I had to have it. Such a great buy and I was jumping for joy knowing that it would be 2 months before I had to make another diaper run. 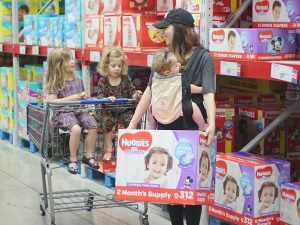 Plus when I calculated it out buying the Huggies® Little Movers 2 Month Supply Pack would save me over $150 per year* so I was pretty happy about that. For a limited time Sam’s Club is giving an instant savings CLICK HERE TO REDEEM. Guys, bulk is the way to go. 2. 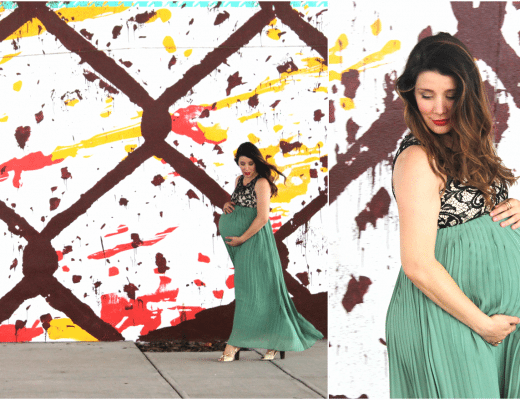 Be prepared – I have totally been the mom running into the convenience store, searching the aisles for any possible diaper, while toting a super smelly baby around… why?!!? I had not one diaper in sight. How does that keep happening? When you buy in bulk you avoid this horrible experience and you don’t have to pay that ridiculous up charge for it being “convenient”. By being prepared with a stocked diaper stash you won’t be put in that awkward and expensive situation. This Huggies® Little Movers pack has 312 diapers so its basically a guarantee you will not be running to the store for quite some time. Unless its time to make a Sam’s Club trip again, hopefully it wont be with a smelly baby in tow. 3. Shop online – I do a majority of my shopping online. Its easy and convenient and I do believe it saves me a lot of money. Sam’s Club now offers free shipping on select baby items, subscriptions, and club pick-up. I love how easy it is to navigate their website and how I can utilize their savings from my couch, in my pjs and drinking wine. Shopping and wine, double win. You can get more info on all their member services HERE. 4. Get the right size – You can save a lot of money by making sure you don’t waste diapers that your baby has grown out of too fast. In my opinion you should always round up if you aren’t sure. That way baby has room to grow. If you are a mom-to-be keep in mind that the newborn diapers become obsolete very quickly. Here is a guide to help you determine how many diapers you will need for each stage. The Huggies® Little Movers 2 Month Supply Pack comes in size 4 because as you can see that is the size your baby will be in the longest. In my house my 8 month old and my two year old can both fit in size 4. That is how versatile this size can be. 5. Look for the value – We all want to find the best value out there. We want to save money, we want to save time, and we want convenience. Value to me doesn’t always mean the cheapest item. Did something take up so much of my time that it totally negated my savings?!? Happens all the time. When I am with my kids my time is valuable. 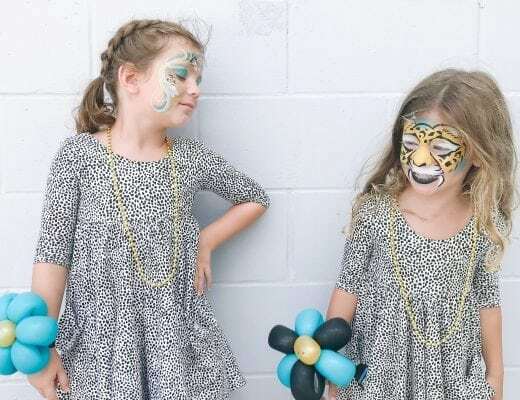 I would much rather be having tickle fights and playing barbies than running errands so I want to not only find the least expensive purchase but one that finds me more time at home with my girls. 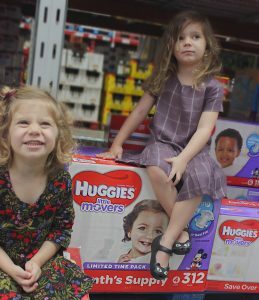 When I was at Sam’s Club picking up my Huggies® Little Movers 2 Month Supply Pack I was so happy with the whole experience. 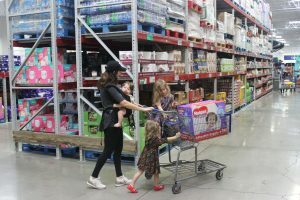 I was in and out quickly (well thats after my kids tried for 20 minutes to “do it themselves” and put the giant pack in the cart) and with three kids in tow that is something that is so important to me. So yes the Huggies® Little Movers 2 Month Supply Pack is a great buy. It helps my family save money for things like ballet lessons and trips to Disney but most importantly the Huggies® Little Movers 2 Month Supply Pack gets me home with my kids and that, to me, is priceless. Shopping online truly is a lifesaver as a mom!! I’m even the mom who orders my Chipotle online! Ha. It’s just so much easier to run in, have all that you need ready to go, grab it and run right back out. Now that I’m expecting my second, I cannot imagine dragging two kiddos through the store as I go grocery shopping, so Sams is definitely our go-to! Sam’s Club is my jam! I love their curbside pickup and we get tons of baby necessities there! I love buying Diapers in bulk too! We ran out of diapers once and it was a disaster. Never again! Your kids are adorable!! We love the Huggies 2 month pack too! !